Ravishing stems are dipped dramatically into ravishing shades, and support Thespian textured glass orbs. The dangling style is hooked for a matching look. Mounting hardware included for quick installation. This Rustic Iron Commercial Electric 3-light pendant is beautifully crafted in a rustic iron tradition and hand painted with an artfully weathered Rustic Iron finish to give it a classic old world charm. 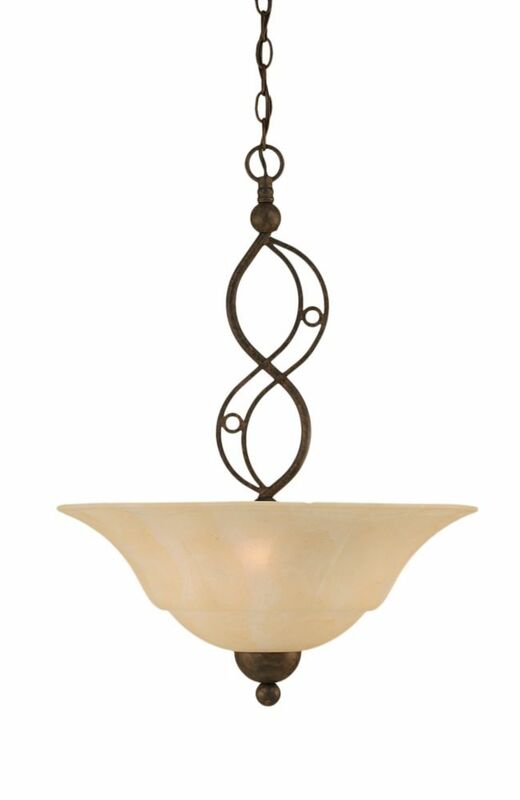 The hand painted glass is finished in Antique Ivory and will provide a warm illumination to your home. This pendant uses three 60-Watt medium-base bulbs. For any room in your home, the Rustic Iron 3-light pendant is the choice of discriminating yet value conscious homeowners who want to enrich their home.